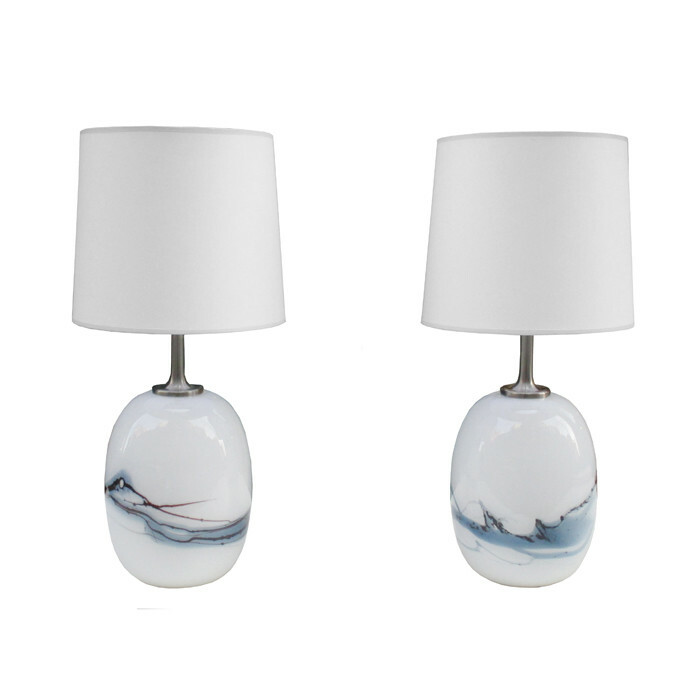 A pair of small Michael Bang designed for Holmegaard Modernist Table Lamps. White cased glass with abstract blue swirl details and nickel fittings. Dimensions: H: 17¼ Shade D:8 Inches.